Haumoana House has three king bedrooms, two bathrooms and a study with two rollaway beds and can sleep up to eight guests. The master bedroom has an ensuite bathroom with twin showers (and side jets!). Bedrooms 2 and 3 share a bathroom with a shower and a bath where it is possible to soak in the bath while soaking in views of the Pacific Ocean. Bedroom 2 has a splittable super king bed which can be set up as twin king singles if required. Haumoana House is completely self-contained, including fully-equipped kitchen and a Weber gas barbecue. Sky TV,Netflix, a DVD player, a stereo system and free broadband WiFi are provided. Haumoana House is close to 300 square metres in size and the open plan kitchen, dining and living area and outdoor terraces make it the perfect place for entertaining larger groups. or hosting small celebrations. Shared laundry facilities (washing machine and dryer) are available in the pool house. 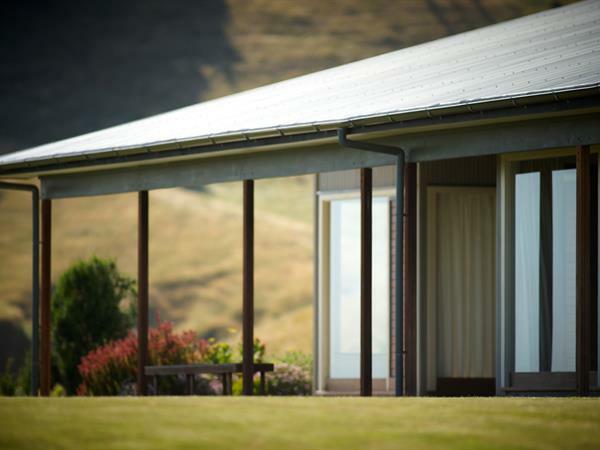 Haumoana House has access to the shared 4x15 metre swimming pool and to the entire 20-hectare property for walking.